Last time, I told you about a podcast I had listened to that really got the gears turning in the brain. I pondered the question, “why isn’t dance as relatable as other performance art forms like acting or singing?” I concluded that connection and shared experience were key. It’s easier for an audience to connect with actors and singers through a shared experience. Dance has a dualistic experience that happens externally and internally at the same time, and dancers don’t need an audience in order to feel fulfilled in their dancing. If a dancer isn’t able to bring the internal part of the experience out so the audience can connect to it, the audience won’t be able to connect and relate to the dance performance. As the panelists in the podcast episode discussed, this lack of relatability could be a major factor in how publicly successful dancers can be, compared to actors or singers. So how can we make dance more relatable? 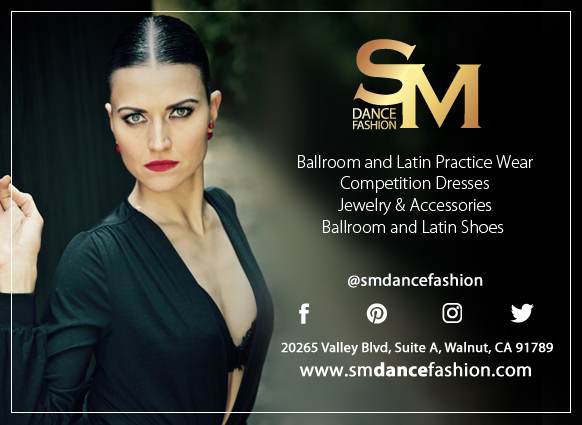 Now through Cyber Monday ONLY, take advantage of discounts on the Solo Practice Guide for Ballroom Dancing AND an extra gift from yours truly as a way for me to say thank you for your support. Countdown to Embassy Ball 2018: 5 Days – Slow Down! I connected with Jordan via Instagram (@dancing.for.donuts) and after visually devouring so many of her meal photos, I decided she would be a great person to guest post on the blog about something that is so important for us ballroom dancers. Warning: you may be hungry after reading this post! I know I was! It’s that time again! Dancing with the Stars just announced the cast for Season 24. In case you missed it, here’s the breakdown. Leave a comment on who you think will win, be the first to go, or who you think will surprise us all. A big thank you to Tracy Wilkins, who was kind enough to contribute this article. There are myriad of dance competitions currently on air, but probably one of the most anticipated shows under this category of reality television is Dancing With The Stars. On this series, we’ve seen celebrities across the industries tackling different kinds of ballroom dancing, and it’s been quite thrilling watching them explore something out of their comfort zone. The show proves that anyone can be a dancer with practice. Plus, the routines, outfits and music are just spectacular. I think I got a little overexcited about 2017. 2016 was full of change and delays and detours; I was laser-focused on getting back on track and making up for lost time. We’re one month in and my laser focus has turned into a light show with beams shooting every which way. It’s getting hard to see where I’m going. Have you experienced a setback and you’re struggling to get back to where you were? Maybe instead of focusing on going back, you should focus on moving forward from where you are now. I feel like I have been saying ‘I used to…’ a lot lately. Somewhere in the middle of all of the health struggles I have been dealing with lately, something interesting occurred to me. In many ways, I have been trying to go back to being the dancer I remember before I got sick. I was faster, sharper, fitter and more grounded. I think my thinking was that if I could get back to that place, then I would be able to move forward again to become the dancer I want to be. But it is time for that thinking to be put away. Black Friday/Small Business Saturday/Cyber Monday Sale! Cyber Monday Update – Sale price now available on BookBaby and Amazon! See the Dance Diaries page for links. PayPal links are still available for those of you who want to buy direct. Thank you for supporting this author during this shopping season! I confess – I’m jumping on the holiday bandwagon. Although many stores are ignoring the calendar and proper order of things, this Friday represents the beginning of a month-long shopping spree in America. Personally, I like to stay home and watch movies all day on Black Friday. A mall packed with eager and/or desperate crowds scrambling to find that perfect gift or best deal is not my idea of a good time. If you’re like me and would rather shop online than in a crowded mall, I have a solution! The Dance Diaries series is going on sale this weekend, starting on Black Friday and going through Cyber Monday. Anywhere you like to shop for digital books (i.e., Amazon, Barnes and Noble, iTunes, etc. ), Learning Ballroom Dance and Ballroom Budgeting will be discounted to $2.99 and $3.99, respectively. You can also look for them on my own BookBaby shop pages. Fun fact: if you buy my books directly through BookBaby, I get a greater percentage of the sale price AND the books are available in any eReader format you need – ePub, mobi and PDF. If you have someone in your life who has been wanting to try ballroom, give the gift of inside knowledge with Learning Ballroom Dance. If you know someone whose passion for ballroom is greater than the size of their wallet, give the gift of Ballroom Budgeting. The sale is only during this crazy shopping weekend though! Friday through Monday, and then the prices go back to their usual amounts. Please help spread the word, and as always, happy dancing! Tomorrow is the last day of my cross-country road trip, and I actually made it to my hotel tonight at a decent hour so I wanted to drop in and say hi. The Dance Diaries virtual book tour is only one week away happening NOW! I have mixed emotions about that fact, but mainly I’m excited. From September 26 to October 14, Dance Diaries: Learning Ballroom Dance (Dance Diaries #1) and Dance Diaries: Ballroom Budgeting (Dance Diaries #2) will be featured and/or reviewed on a number of websites, most of which are book blogs. Some of them have also requested guest posts or author interviews from me, so their readers can hear from me directly. You can also access the giveaway link here. You’ll also note just by the names of the blogs that the majority are not dance-related sites. The point of all this is to reach more readers and hopefully introduce more people to ballroom dancing. It’s also good exposure for me as a writer and author. I’m still not exactly sure where this path is taking me, but I want to find out and the only way to do that is keep moving forward! The mixed emotions I mentioned in the beginning are courtesy of my demons, of course. I’m excited to reach a broader audience and connect with new readers! But there’s always that lingering doubt/fear that I’ll be rejected or called out as a fraud. Or worse yet, my books will be met with a whole lot of indifference! I know these feelings are normal, and every writer out there can relate. All I can do is take a deep breath and push forward anyway. I keep reminding myself to glance back and acknowledge how far I’ve come despite being terrified. It’s almost hard to believe. So I hope you’ll tag along and check out some of the stops on the tour. I’m sure the other bloggers who have been gracious enough to welcome me and my books to their websites will appreciate your visit just as much as I do! I’m going to keep this post on the top of my blog page until the tour ends, so it’ll be easy for you to check the schedule and click over to the other sites.